I am an experienced studio and location photographer working throughout the UK and beyond. My passion is to create high quality and intelligent photography that not only looks great but is effective and enduring in marketing your business. Please take the opportunity to view my portfolio, I would be happy to talk through your project and provide a free quote. I take the time to understand your business and competition, together we develop ideas, a strategy and visual direction. With my experience comes great problem solving skills and a cross fertilisation of knowledge gives us the creative edge. Unique and exclusive photography is an investment that will provide returns for all aspects of your business for years to come and of course make you stand out from your competition. Whether you’re a start-up or multi-national, local or the other side of the world, I love a challenge! I work with companies that care about presenting themselves in a consistent and professional manner, creating more than just great imagery but developing a unique visual DNA for their business. Recent clients include; McLaren, UK Gov, NPL, Diamond Light Source, Vision Engineering and Cancer Research UK. The care that Andrew took preparing for and setting up the night shoot enabled him to take a set of images that fulfilled the brief perfectly and were creatively stunning. We've been more than happy to turn to Andrew for the safe delivery of other photographic projects since and would have no hesitation in recommending his services. "Working with Andrew has been a pleasure, his advice and experience has been invaluable and we now have the beginnings of a high quality portfolio of images." "Andrew's technical expertise, eye for detail and positive attitude makes him a valuable and trusted associate." "Images look fantastic, great work." "Andrew brings our projects together with consistently brilliant work." "Andrew realises conceptual ideas in creative, and visually arresting ways." Lighting is the most important element in the studio, it's all about emphasising the form, detail and design of your product and then capturing the quality using the latest 50 megapixel Hasselblad camera system. You can watch the results on large monitors as the photo shoot progresses. Great location photography takes great organisational skills, an eye for detail and the adaptability to solve any problems. With years of experience delivering superb photos in challenging conditions, and a perfect track record for safety, you can be sure that I’ll deliver the imagery you need. I have over 25 years’ experience of delivering high quality, thought provoking photography to delighted customers. My efficient and creative photographic process, combined with close collaboration with your team, means that I can deliver stunning, high quality images on time and on budget. I love a challenge. Whether that is a busy office environment, fusion experiment or an abstract image, I bring my passion and ability for creating memorable, powerful photography to every project I work on. 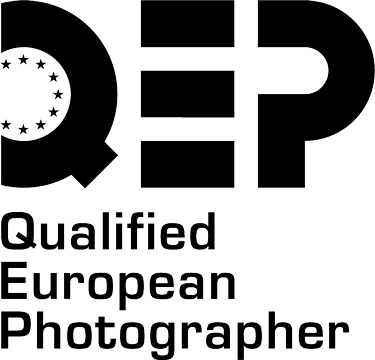 I am keen to give back to the photographic industry, I’ve given talks to fellow photographers and judged international competitions. I’ve even picked up some awards along the way! I love to work with international clients, and have been fortunate enough to work with numerous US and European companies over the years. If you’re outside the UK, don’t let distance get in the way of getting the perfect images for your company.